“Is this it? Is this IT?” I have been craving for Thai style wanton noodles for the longest time, small in portion, but lingering in pork lard aroma. Must I really fly to Bangkok for the famous Pratunum Sabx2 Wanton Noodles, which is perpetually packed with Singaporeans? Then I saw pictures of this BaaMee Thai style wanton mee and pig trotters floating on Instagram, immediately texted my Thai language classmates, and hurried there for dinner. 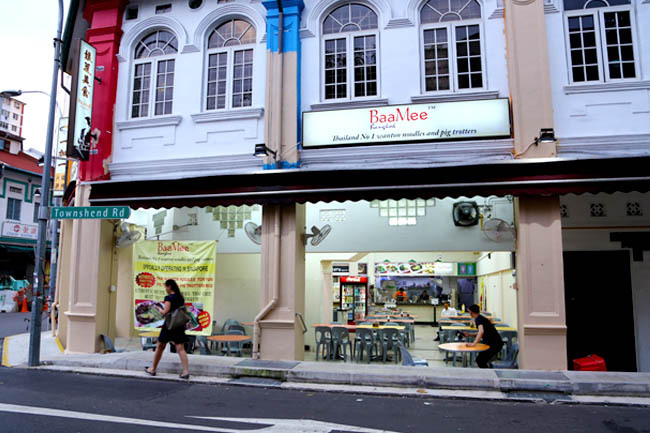 Never mind it is at Syed Alwi Road Jalan Besar. No trains, no parking. 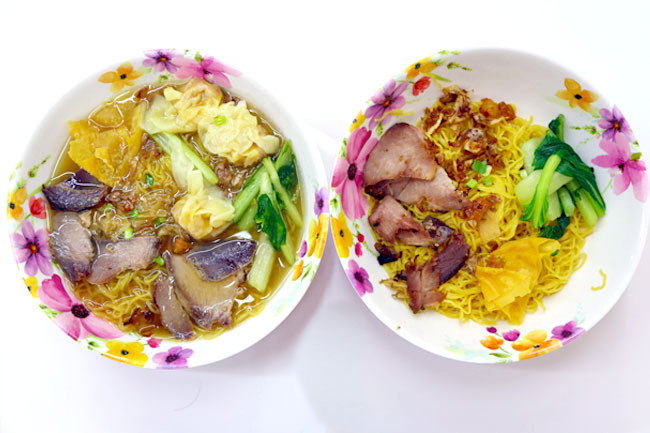 I WANT MY WANTON MEE. 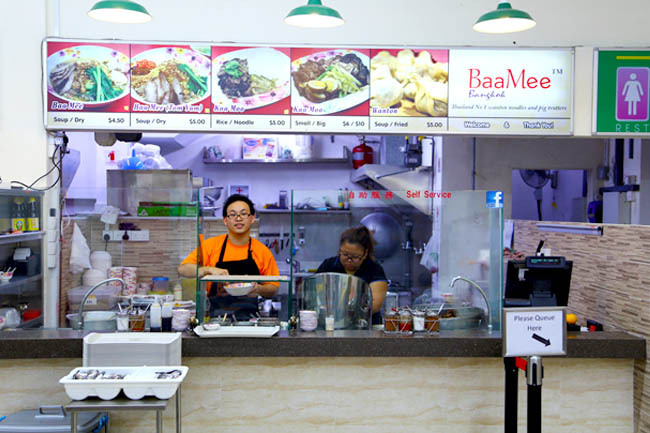 BaaMee Bangkok’s signboard read “Thailand No 1 wanton noodles and pig trotters”, and warned n facebook that waiting time could be long during peak hours. So I was full of anticipation. 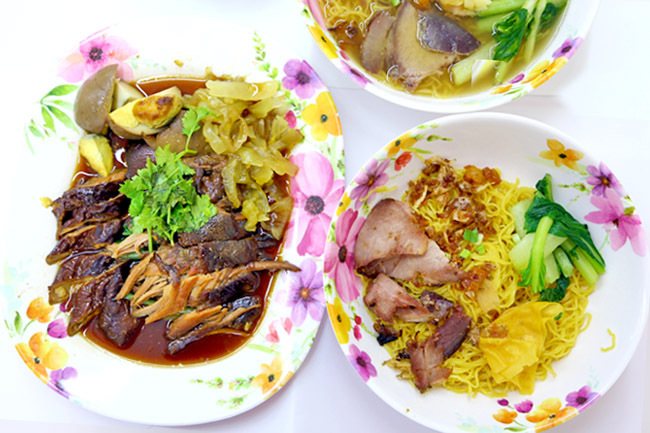 On sale were Baa Bee ($4.50 for soup or dry), Baa Mee Tom Yum ($5.00), Kaa Moo ($6 for small, $10 for big) and Wanton ($5.00 for fried or soup). Aroy mak mak krub? Taste authentic? Emm… … not quite. Sorry to fans (and owner of the shop!) 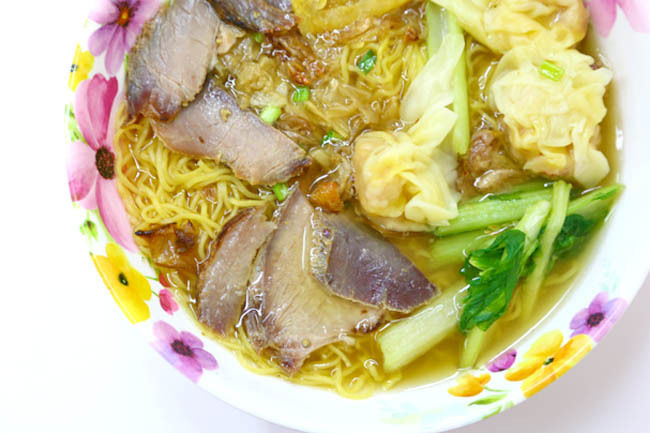 of this wanton noodles. It was there, but not quite there yet. The noodles were springy, yes. I liked the soupy wantons filled with sweet tasting pork. But the sauce was bland, pork lard not fragrant enough, pork slices were dry, and most unfortunately deep fried wanton reeked of not-very-fresh oil. The good news is, I think they got all the elements there, but need to fine-tune each and every one of the ingredients. It seemed like Tom Yum noodles was their better deal. The pig trotters and intestines were tender though, and should be the main selling point of the shop. 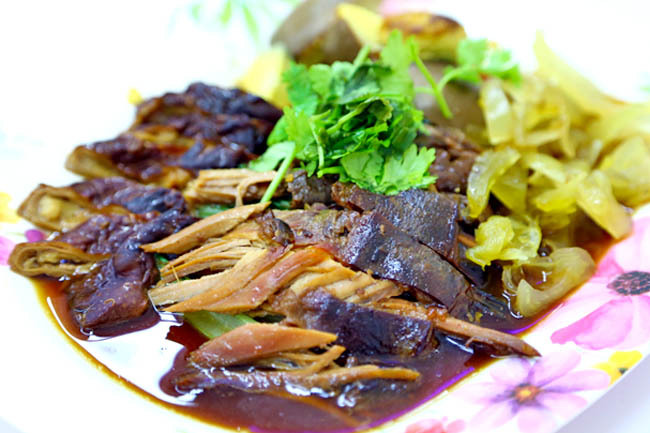 I do think the meats can be braised for just a while longer. My Thai language classmate gave a worried look and asked “How?” I thought for a while, and answered, “This can work”. After word gets out, people will come. To be really honest, Singapore has so many substandard Thai restaurants that are still crowded. BaaMee, which is not too bad considering its starting days, can make it, if they improve. Yup, I read your review too. But I wanted to try the most original taste, which was unfortunately disappointing. Though I think just need some fine-tuning. Will try Tom Yum if I do go back again. Disappointed. To paint a more accurate picture I think they need to overhaul the taste department, not fine tuning. It’s just Thai style wanton mee with the same ingredients but not the taste. 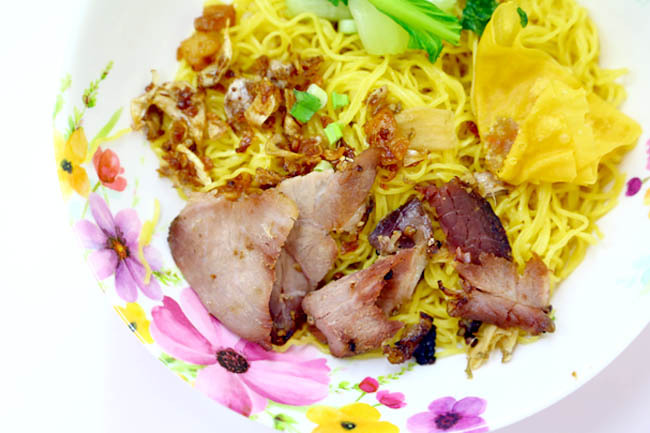 Have you tried the soi 19 Thai Style Wanton Noodles in AMK ? Many people I asked told me so-so or ordinary, so I didn’t bother. Closed for business – don’t bother going.